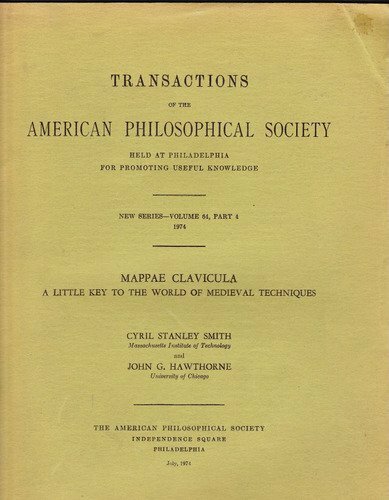 Mappae Clavicula is part of a thread that runs through the history of craft and chemistry. The thread is only visible occassionally, and we can only find it because it is a textual tradition. That might seem overly poetic, but it’s an apt description for a document whose name is (confusingly) translated as The Small Key to the Little Cloth. The recipes listed within this volume have their origins in cuneiform tablets from Mesopotamia, and passed through the hands of Ptolemaic Egyptians (in the Greek MSS Leyden X and Stockholm), before they were copied in Latin. This is a not a single document; instead, it is a corpus of recipes, which vary between manuscripts, growing (and sometimes shrinking) over time. The MS translated here is from the 12th Century, but earlier versions exist, beginning in the 9th Century AD (maybe earlier), and significantly, shift the focus from the Mediterranean to continental Europe. It’s appealing to think that these are practical workshop recipes. Certainly, many of them are functional, but were they functional in the eyes of the manuscript owners? Many of the place names would have been distant and exotic to a 12thC reader, and the translators suggest that scriptoria copied such documents for use as Latin primers, to ensure that monastic Latin did not drift too far. Still, the ever-changing contents of the manuscripts suggests that some treated them as technical documents, perhaps compiling only those recipes that were relevent to them, or adding more. While a handful of ‘recipes’ describe runes and architecture, the rest have the same overlapping groups of dyes, pigments and alloys which can be seen in the Ptolemaic predecessors. There do not appear to be alchemical recipes, in the mystical sense, and neither are there the household and estate-management recipes that any compiler would easily find around them. To the European reader, these manuscripts offered a link to the classical world, both linguistic and artistic. Copies were held in Carolingian monastic libraries, and the MS translated here, while much later, was copied in a late Carolingian style. Geography, as well as a date in the 1100’s, makes it a contemporary of Theophilus’ On Divers Arts; in some ways, the differences are huge, but both belong to the slow rebirth of classical styles which culminated, centuries later, in the Renaissance. The recipes themselves are varied, and disorganised. Unlike Theophilus with his three books for painting, glass and metalwork, here the recipes are found in clusters. Perhaps this reflects the blurred lines that persist to the present era – this manuscript is useful to historians and archaeologists of metalwork, metallurgy, chemistry, dyes, painting, and it is hard to say where one discipline starts and the other ends. Is verdigris a pigment, is it a solder for gold, or is it a metallurgical recipe (copper and vinegar); the answer is yes to all of them. 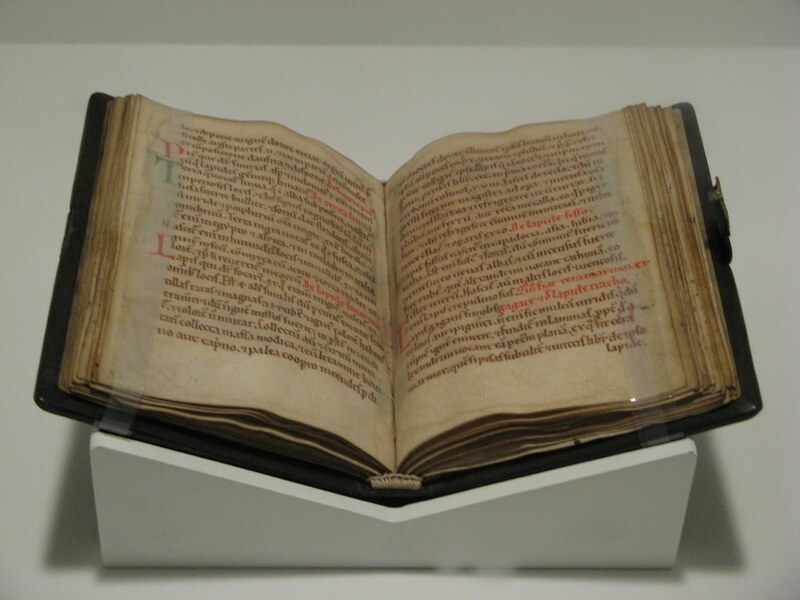 In additon to the recipes, the book contains a history and comparison of all the manuscripts, and three appendices – photocopies of the Sélestat and Phillipps-Corning MSS, and a discussion of the runes by E.P. Hamp. Though I can’t read Latin, I can see that the Phillipps-Corning MS is useable, but the Sélestat MS script is just too small to decipher; if you need a facsimile, this book does not provide it. Research continues in these areas, and the Mappae Clavicula remains an essential piece of the puzzle – the manuscripts kept alive a recipe tradition that goes back to cuneiform tablets, and this translation is detailed, with plenty of technical and linguistic analysis. In the absence of more recent translations, Smith’s work is a touchstone for current and future study, and stands up well despite being published four decades ago.